Calgary, Alta. 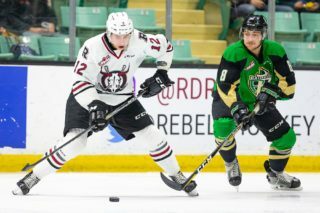 – The Western Hockey League announced today that Red Deer Rebels defenceman Alexander Alexeyev has been named the WHL On the Run Player of the Week for the week ending October 28, 2018. Selected in the first round, 31st overall, of the 2018 NHL Draft by the Stanley Cup Champion Washington Capitals, Alexeyev recorded eight points (3G-5A) and a plus-10 rating in four games this week as the Rebels continued to defend their lead atop the Central Division. 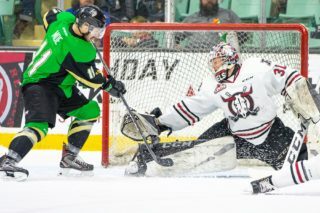 Tuesday at home against the Calgary Hitmen, Alexeyev scored his team’s first two goals at even strength in a 3-1 victory. His efforts earned him first star honours for the game and second star honours of the night in the WHL. In a 4-1 loss to the Medicine Hat Tigers Wednesday, Alexeyev collected a single assist to extend his point streak to four games. 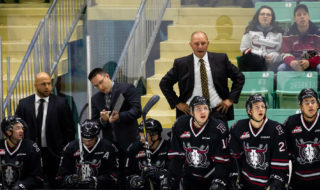 Friday, the Rebels played host to the Saskatoon Blades. 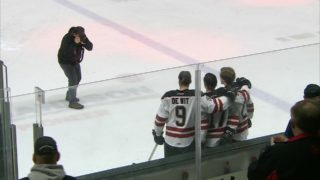 In a 4-3 overtime victory for Red Deer, Alexeyev recorded a pair of primary assists, including one on the game-winning goal. Alexeyev then closed out his week with a goal and two assists in Sunday’s 8-5 win against the Red Deer Rebels. In addition to extending his point streak to six games, Alexeyev scored Red Deer’s fourth goal at even strength and picked up assists on Red Deer’s first and sixth goals in the contest. He was named the first star of the game for his efforts. Overall, seven of Alexeyev’s eight points came at even strength this past week as the Rebels scored 14 of their 16 goals at even strength. One came short handed while another came on the power play. Alexeyev is presently tied for first in scoring among WHL defencemen with 20 points (7G-13A) in 15 games this season, including two power-play goals and two game-winning goals. The 6-foot-3, 200-pound product of St. Petersburg, Russia was originally selected in the first round, 49th overall, of the 2016 Canadian Hockey League Import Draft. 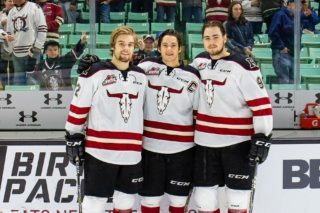 In 101 WHL regular season games with the Rebels, Alexeyev has 78 points (18G-60A), including five power-play goals and three game-winning goals. The Rebels are back in action Saturday, November 3 (1:30 p.m. MT) when they head south on Highway 2 to face the Calgary Hitmen.